While there are several things to consider when planning for a Melbourne trip, most people give utmost consideration to the mode of transport. Of course, one of the best and hassle free ways to travel around Melbourne is hiring a car. But, there are certain things that must be taken into consideration before reserving a car for the trip. Apart from considering the number of seats that you will need to accommodate your passengers, it is also important to think about the space required to store their luggage. Before you choose your car rental in Melbourne, it is worthwhile to give consideration to the number of passengers and how much of stuff that they want to bring with them. You must take your own time to explore the range of vehicles owned by the specific car rental company. To ensure safe and enjoyable trip, choose the car that you are acquainted with. At least, you should familiarize yourself with the features of the car that you have chosen to hire. For most people, the rental cost can be a deciding factor. 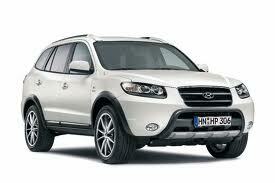 So, if you are traveling on budget, you need to determine the amount that you can afford on car rentals Melbourne. Of course, no matter what your budget is, you can easily find a rental car that meets your demands and requirements. If you are traveling in a small group, you can rent a compact sedan but for a larger group, hiring a minibus is the cost effective option. This is another important factor that you need to consider while looking for a car hire in Melbourne. Whether you are planning for the beach tour, sightseeing, wildlife tour or any other thing, make sure that the car hire company can design the right itinerary for you. If you are traveling Melbourne for the first time, you may not be acquainted with the routes. In that scenario, the car rental company should be able to take you to all destinations in the shortest routes possible. When you have all these elements in mind when hiring a car for your Melbourne trip, you can definitely make a well-informed decision.